I had the pleasure of attending the Oregon Garden Brewfest last Saturday and met up with the ‘Pooia family, as well as our good friends Nick and Julie. 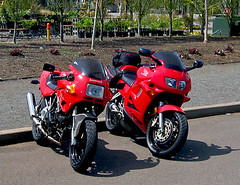 A really nice event and the first good motorcycle ride of the new year with beautiful 65+ weather. Keep an eye on the website May 19th for a template change and great new pages. Please feel free to leave suggestions for improvement in the comments! Until then, stop by the brewery for the latest Calapooia Brewing microbrew, “Hop Crisis”, and enjoy spring now that it’s finally here! 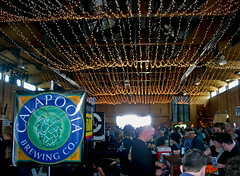 Pingback: Calapooia Brewing » Oregon Garden Brewfest is This Friday and Saturday: We’ll Be There!